Historically there are four phases of development of the Market House, the original retangular plan with a small central capola on the ridge, the 1890’s re-construction in a rural Italian style with new tower on the East elevation and the addition of mullion and transom windows, the Fire Station Free State Art Deco transformation to use as a fire station with library on the first floor and the present Laois County Council commision to a branch library. 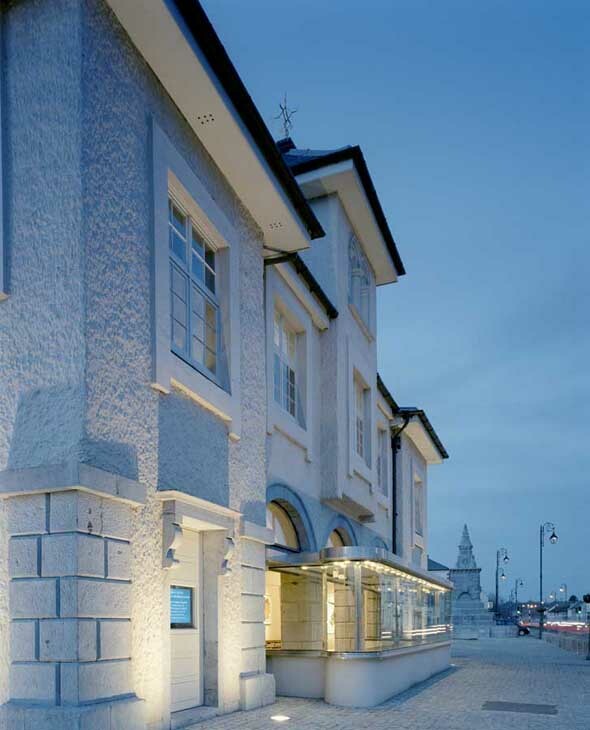 It was the Architect’s ambition to re-pave the square, and this was achieved by re-planning the car parking and planting to compliment the original building. During the course of the 2008 works the suspended timber vault was uncovered and exposed to view, the barn form which compliments what was manifest externally. 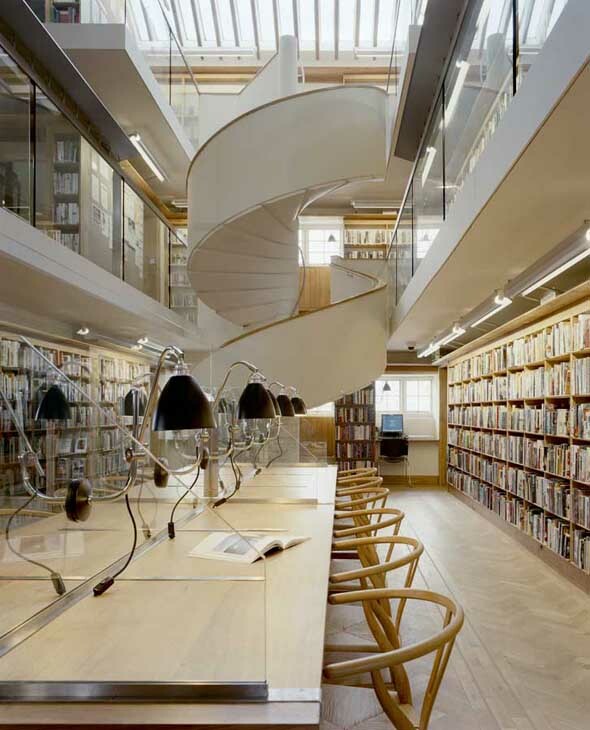 The design of the library as a great room surrounded by books on three floors and a central reading room in the middle of the square of the town. 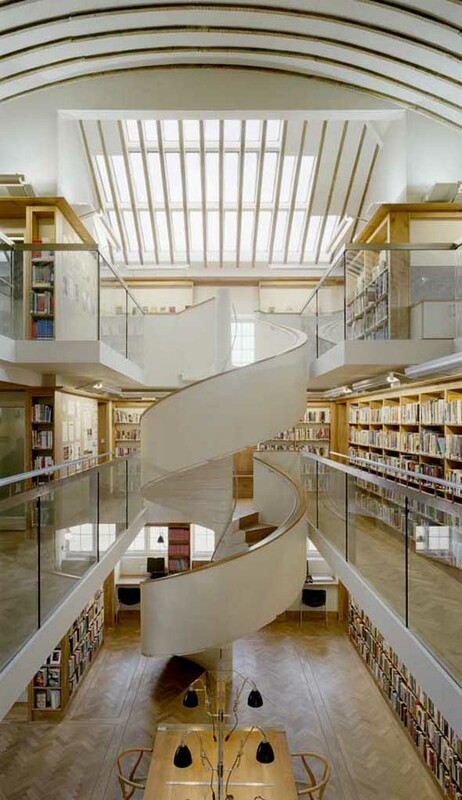 The design of each floor incorporates particular features of the library. The ground floor has entrance from South, librarian’s desk, Art Gallery, fireplace and catalogue. The first floor has adult lending, IT, reproduction, reference desk and librarians office. The second floor is the childrens library with story telling theatre, children’s desk and craft area. Particular attention in construction was given to high level of insulation in the roof. Wood chip boiler (monitored at librarian’s desk) and circular glass public viewing panel in boiler room door as well as low carbon emission, electrical lighting internally and externally, incorporated into the design.